Enjoy the trip more! Seat spins 360°, so it's easier to get in and out of the car, or off the lawnmower. Cushy memory foam disk eases back and hip strain, too. 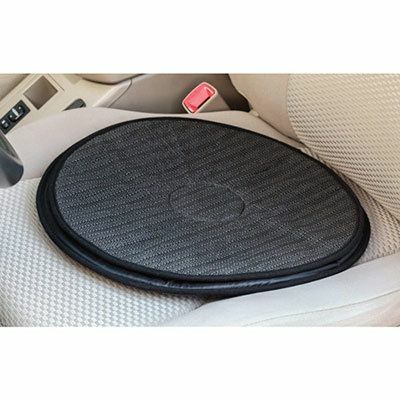 Car Swivel Seat has a non-skid base. Machine wash. Polyester/nylon. Imported. 16" dia. Hurry! Quantities are limited!